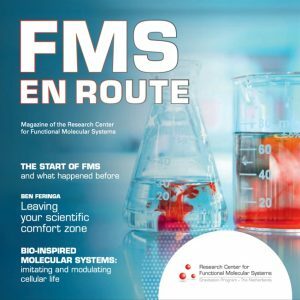 Excellent and enthusiastic students and junior researchers are encouraged to apply for PhD and postdoctoral positions to join the FMS Research Center. You can do so by sending an open application or by applying for one of the existing vacancies in one of the participating groups. See below for more details. You can also check for specific positions currently advertised by individual research groups within the FMS Research Center. Check the links below and follow the indicated instructions. Different requirements apply for the different vacancies. MSc degree (PhD degree for applications for postdoctoral positions) in any relevant field within the FMS Research Center: bio-organic chemistry, physical organic chemistry, catalysis, supramolecular chemistry, synthesis, chemical biology, systems chemistry, or biochemistry. Strong knowledge and background in the relevant fields. Strong motivation and interest to work in a interdisciplinary research center in a highly collaborative environment. Independent mind, good communication skills and team spirit. For open applications for PhD positions and postdoctoral positions please send all required documents to info@fmsresearch.nl.